Ho’ola Spa debuts at Honua Kai Resort & Spa inspired by its roots on the beautiful shores of west Maui including revitalizing skin and body treatments, specialized massage therapy and a Himalayan salt room. The 3,000 square foot spa features treatments exclusively from Malie Organics, Hawaii’s premier luxury beauty brand. Honua Kai Resort & Spa lies on 40 acres of pristine shoreline on Maui’s famed Kaanapali Beach, consistently ranked one of the top 10 beaches in the world, and is the newest beachfront development in 30 years. Exclusive treatments include Ala’e Sea Salt Glow, Revitalizing Mango Nectar Package and Anti-Aging Coffee Fruit Renewal Facial. The standout Himalayan Salt Spa is a recreation of Eastern European caves long known for healing benefits, featuring hand-mined salt that derived from 250 million year-old ancient sea salt deposits. Halo Therapy is a drug-free approach to supporting relief in respiratory and skin conditions, while improving the health of your skin. 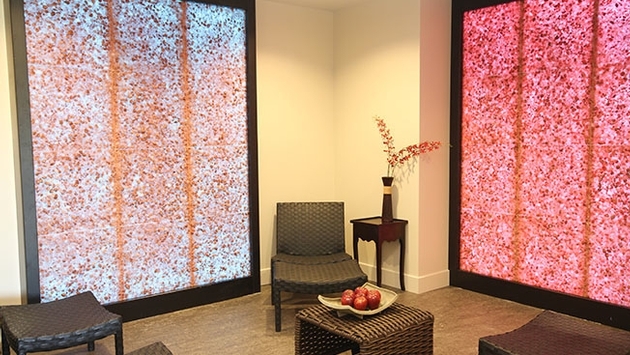 Ho’ola Spa faces the hotel lobby and welcomes guests with an unobstructed glass entryway that leads into three expansive treatment rooms, including the exclusive Himalayan salt room. An additional open-air cabana village will be unveiled in 2014, which will offer a variety of massages and body treatments. The new spa will also function as a gallery space for local Maui artists to submit for display and sell their artwork. All jury fees will be 100 percent donated to support arts education on the island of Maui. "Ho’ola Spa was inspired by the natural elements and beauty of Maui and we’re looking forward to providing the ideal setting for guests to find peace and relaxation," said Debbe Evans, Director of Spa Development. "Honua Kai Resort & Spa is the perfect setting for the ultimate Hawaiian getaway and now visitors and homeowners can enrich their stay with tropical treatments and services at Ho’ola Spa." The spa’s exclusive beauty partner, Malie Organics, celebrates its roots in Hawaii by using only pure, native ingredients that are all-natural, organic and wild-crafted. The mauka (mountain) and makai (ocean side) ingredients indigenous to Maui and the Hawaiian Islands offer unique healing traditions paired with the spa’s latest advances in wellness. Ho’ola Spa will be open daily from 9 a.m. to 7 p.m. and more information on offerings, and booking appointments may be found at http://hoolaspamaui.com/. Guests may book through honukai.com or call 888.718.5789. 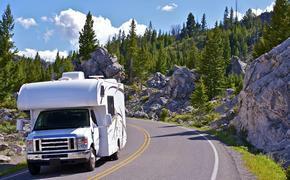 General travel rates range from $529 to $2,999. To further commemorate Ho’ola Spa’s debut, any owner buying a residence at Honua Kai will be treated to 24 hours of spa treatments. Owners will be able to experience all of the 24 different luxurious treatments offered by the new tropical spa, completely OD on their favorite treatment or share the aloha with a friend or family member. Treatments can be booked over a 24-month period or experienced during the ultimate indulgence of a 24-hour non-stop spa treatment marathon. Twenty-four months of complimentary HOA dues are also included. Real estate must be purchased by June 24, 2014. Real estate pricing ranges from the low $700,000’s to $3.8 million. Visit www.ownhonunakai.com or call 800-549-2740 for more information.